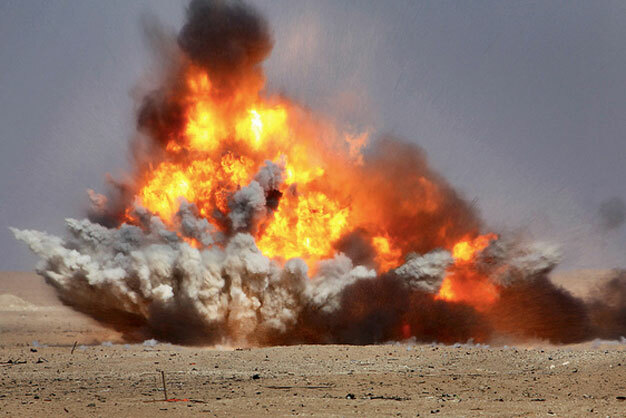 A cratering charge detonates when Marines assigned to Engineer Detachment, Combat Logistics Battalion 15, 15th Marine Expeditionary Unit, conducted a controlled detonation exercise at a live-fire range near Camp Buehring, Kuwait, during a routine training exercise, Nov. 25. U.S. Marine Corps photo by Cpl. Timothy R. Childers.